Music can be used several different ways, such as for entertainment, or even for clinical and evidence-based use. Not all people are aware on what is really the meaning of music therapy. Music therapy is a kind of music intervention that utilizes music to achieve a desired effect or accomplish individualized goals within a therapeutic relationship. Not everyone can perform music therapy to anyone. People will be trained on how to perform music therapy to various individuals. As a matter of fact, there is a so-called Music Therapy Program that will teach interested people on how to perform music therapy the right way and what are music therapy’s advantages and disadvantages. 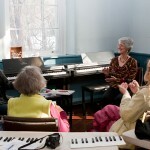 Creativity – for seniors who will undergo music therapy will experience restoration of their creative spirit, since music therapy can refresh seniors’ power of imagination as songs are playing, vocalization during or after the song played, and interacting with other people during the music therapy. Positive Outlook in Life – The melody, rhythm, and musical expressions of music therapies can help seniors’ to have a more positive outlook in life, which is very important for seniors as so they can live a happier and more fruitful senior years. 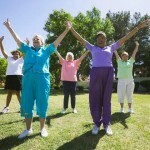 Self-Esteem – one of the most common problems for seniors is that they will develop a low self-esteem, since there will be changes in their physical and mental function that goes with aging. 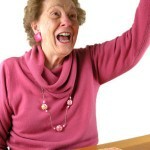 Seniors who will undergo music therapy can benefit through maintaining one’s self-esteem and attentiveness. 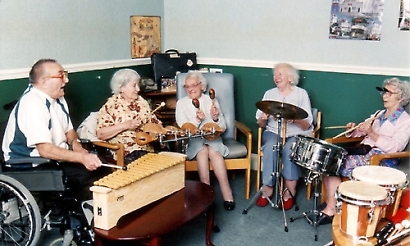 Everyone can benefit from music therapy. 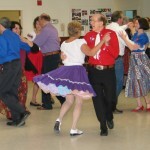 Music activities for seniors can help them relax, reduce muscle tension, and even promote healing. Music therapy for seniors can also help in boosting or improving their life productivity and even strengthens their long term memory and short term memory skills. Improves recovery time in some health conditions. Reduces stress levels, as music therapy promotes relaxation.